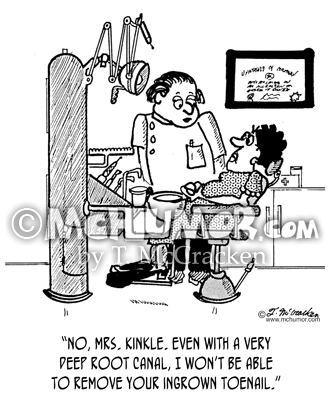 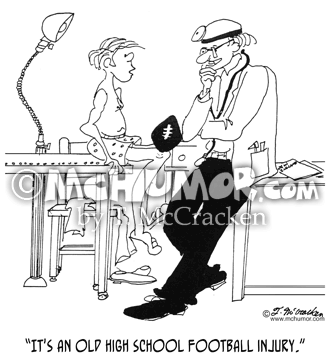 Football Cartoon 4058: A man with a football embedded in his knee saying to a doctor, "It's an old high school football injury." 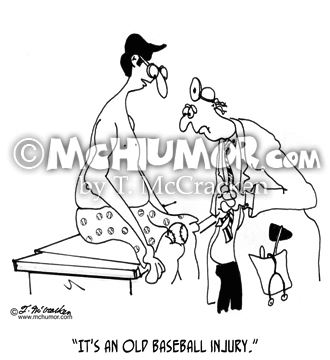 Baseball Cartoon 5391: A man with a ball in his knee says to a doctor, "It's an old baseball injury." 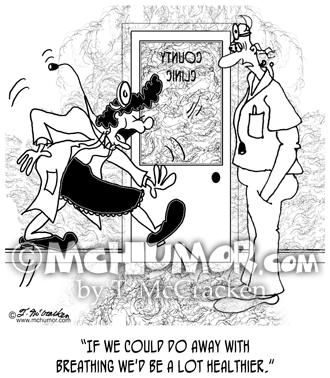 Pollution Cartoon 8398: As smoke seeps around the door of a clinic a doctor says to another who’s coughing, "If we could do away with breathing we'd be a lot healthier." 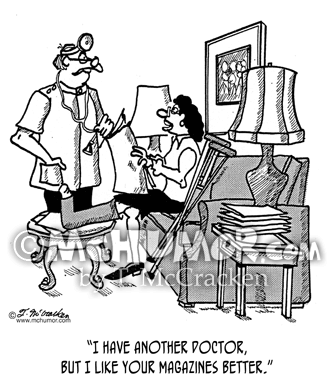 Medicine Cartoon 8967: "What the patient heard and what the doctor meant to convey." 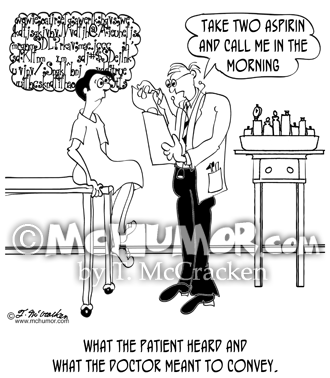 A patient hears gobbledygook and the doctor says, "Take two aspirin and call me in the morning." 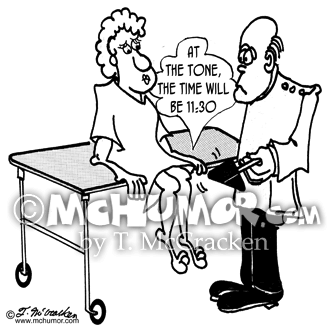 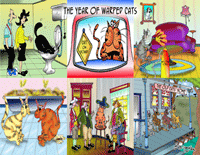 Waiting Room Cartoon 2000: A woman in a doctor's waiting room says, "I have another doctor, but I like your magazines better." 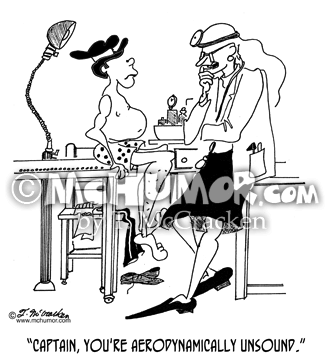 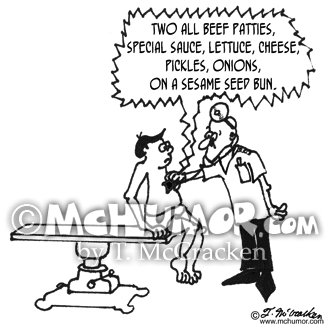 Flying Cartoon 3662: A doctor says to a pilot with a potbelly, "Captain, you're aerodynamically unsound." 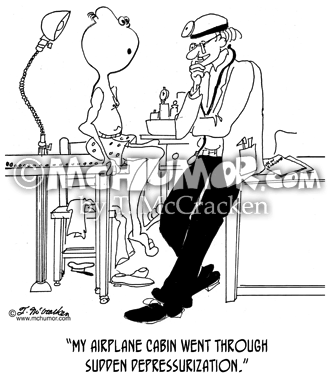 McHumor's Blog: Is It Art or Is it Gross Anatomy?